You teach your Child numbers and alphabets for Early Stage.Always teach from the basic.Counting numbers is one of the most important steps in developing early stage for your child. Once they know the basics,you can then teach more.Know your child learn counting in an easy way. 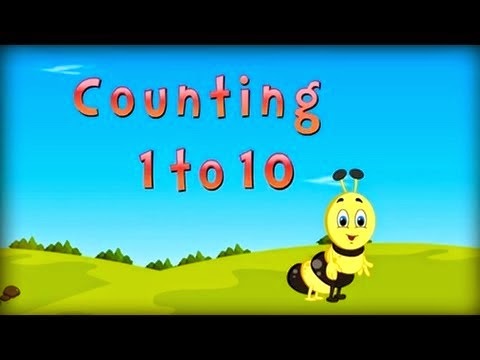 You Teach Counting Numbers 1 to 10. Teach your child to count objects, rather than simply remember number order is very important.Number recognition is one of the most important of the many skills.Many parents may be give flash cards as an initial learning tool, this is not the best method for teaching young child maths skills with understanding and many three year child may be able to identify a 3, but they don’t understand what 3 means. It's important for parents to understand the difference between theoretical learning and skill development,Instead of flashcards, look for teachable moments, count things that are familiar to the child as plays or helps you with simple task. Counting balls, toy cars, abcd Letters Play is one of the interesting learning method for your child.Follow their interests and create environments that encourage creativity and investigating.